In today’s complex world of property management in Indianapolis, investment property owners are experiencing increased tenant and regulatory demands. You may also face the challenge of incorporating modern technology into your management routines. Most property management companies offer very similar services, but the trick is to go “behind the scenes” to see how they can differentiate themselves. While property management may look nearly the same and even have similar costs, the costs of poor property management is much higher than any difference in fees. 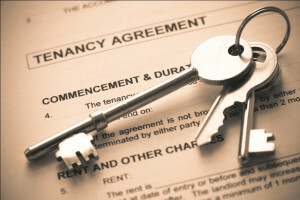 Real Property Management has over 30 years of experience in the property management industry. 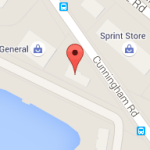 As a nationwide company, we have over 300 offices throughout North America. We continue to work hard to redefine the property management industry from the cottage industry it once was. As a trusted company, our focus is making sure investors get the best return on their investment when they diversify portfolios with property. We also have access to the resources and technology needed to provide complete solutions to every Indianapolis property management need. Homeowners: Whether they need to relocate, downsize, or are unable to sell, we offer the stability, dependability and affordability they can depend on. This allows a tenant to handle much of the overhead of mortgage, taxes, and insurance while the home appreciates and the principal is paid down. Many of our homeowners who find themselves renting their personal homes find themselves in a very equitable situation within a few years. Individual Investors: Our services help with management duties for as few or as many investment properties you own. We focus on getting the best return on any number of property an individual investor has. Our office has experienced staff who know most areas and neighborhoods. We are experts in the Indianapolis Metro area and can help guide you in your investing decisions. Institutions: We are trusted to professionally manage residential real estate portfolios for investment firms, banks, mortgage lenders, and government entities. We handle everything from large portfolios to apartment buildings and complexes. We can customize our fee structure for these larger investment types to ensure that your needs are met in an affordable manner.